And for the final part of the Middle Eastern Feast, the humble carrot. I really wanted to make a dish that featured the carrot front and centre. 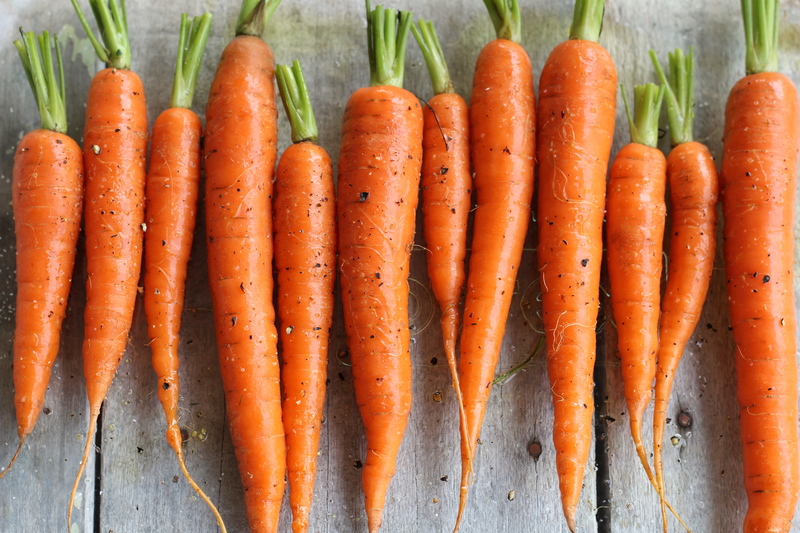 Carrots have long been one of my favourite vegetables. What’s not to like? Crunchy and sweet when fresh, earthy and sticky when roasted, plus good for your eyesight. It’s a win-win situation. This is a super-easy dish, but don’t let its simplicity dissuade you – it is super-tasty. The flavours of the earthy-sweet roasted carrot and the sharp lemony drizzle are so complimentary it really sings. It’s the perfect side to any main dish, or delicious as part of an entrée or tapas-style meal. I’d also highly recommend using organic or homegrown carrots. 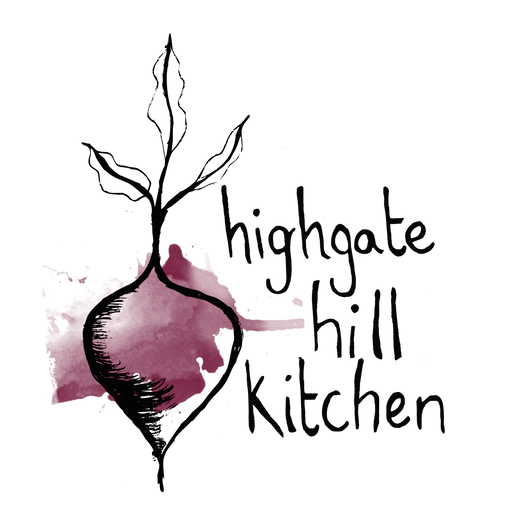 Organic carrots are sweet and juicy (unlike the tasteless watery variety from the supermarket), and as they take centre stage in this dish, you want them to be of the highest quality you can find. And if you can find heirloom carrots of different colours, even prettier! 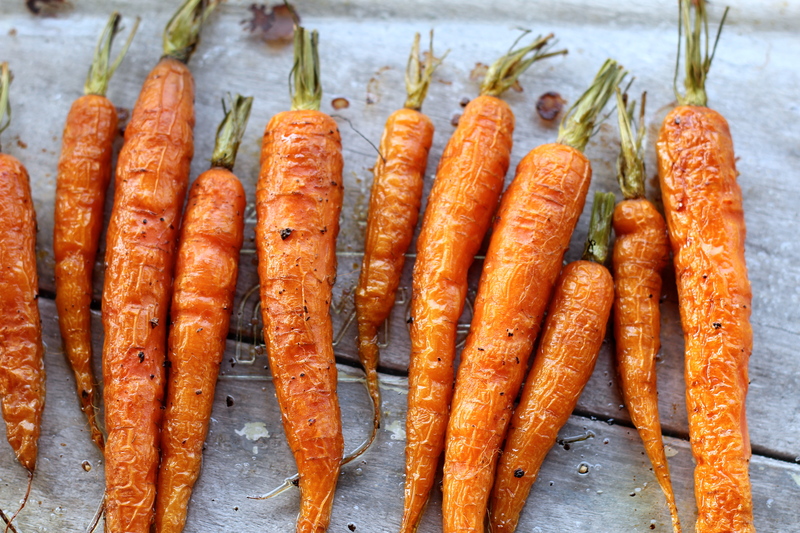 Trim the green tops off the carrots, wash, and place in a single layer on your baking dish. 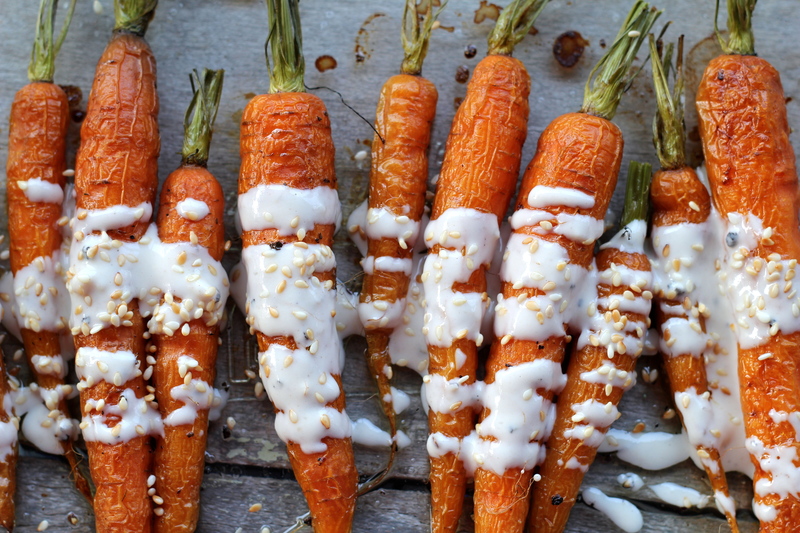 Drizzle with olive oil and use your hands to turn the carrots and make sure they are coated in the oil. Sprinkle with salt and bake for 40 minutes, turning them at the halfway mark. In the meantime, prepare your tahini drizzle by putting the tahini, lemon juice, and water in a glass or jar along with a generous grinding of black pepper. Whisk until there are no lumps left and the drizzle is smooth. It should be thin enough to drip off your spoon – add a bit more water if it is too thick. Tip: I prepare my drizzle by putting the ingredients in a jar and vigorously shaking then using a spoon to mash out any big lumps of tahini before shaking again. Toast the sesame seeds in a pan over a high heat, shaking regularly until they start to brown, one – two minutes, then remove from heat and set aside. 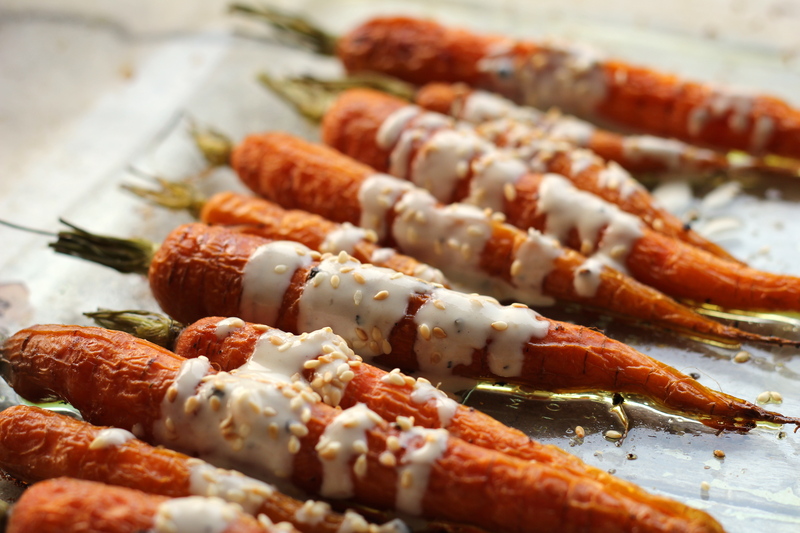 To assemble lay your roasted carrots on a tray or plate and use a spoon to drizzle the tahini mixture over the top, as little or as much as you like. Sprinkle the sesame seeds over the top and serve immediately. Note: this recipe will make more tahini drizzle than you need, but the remainder can be kept in a jar in the fridge for a couple of weeks and is delicious over salads, spread on toast with a poached egg, or as a dip for crunchy veggies like cucumber and red capsicum. they look beautiful…going to have to make this! And they’re super easy to make, too!